Most homeowners who have a residential solar system know that the maintenance of the system is low. The rains of the winter months keep panels clean. And by design, the lack of moving parts make solar panels resistant to breakdowns. However, pigeons, and other birds, can add a layer of stress for homeowners with solar. This means having an understanding of the best bird control is important to maintain the integrity of both your solar panels and your roof. Rooftops are ideal places for pigeons, and other birds, to nest and roost. The panels provide protection from the hot sun or from windy days. They also are a convenient hiding spot to protect birds from predators. And making roofs even more inviting is the fact they offer birds a wonderful vantage point to perch from. Once a bird makes its home on your roof, you can predict they will spend many seasons nesting under your panels. Many birds are very habitual in their behaviors, meaning, if they show up one year – there is a good chance they will continually nest there. Solar panels with birds nesting require the best bird control options. 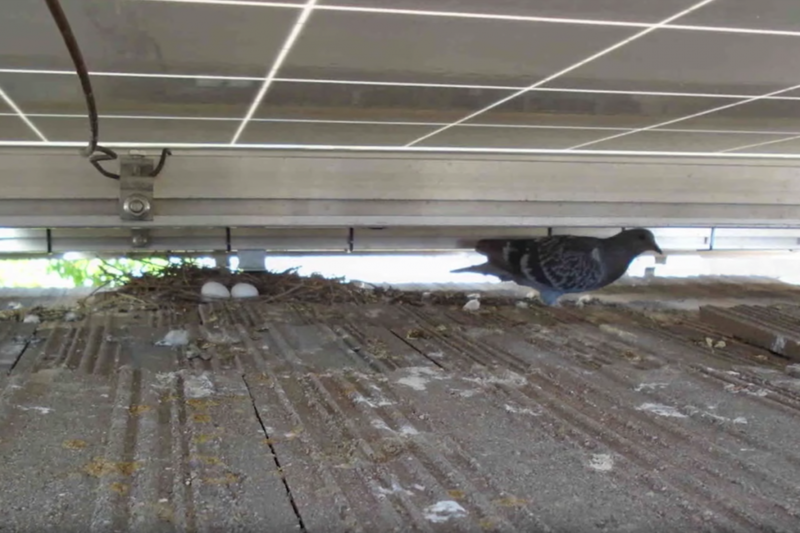 The best pigeon control professionals will explain that having birds live and nest under your solar panels will cause extensive damage. 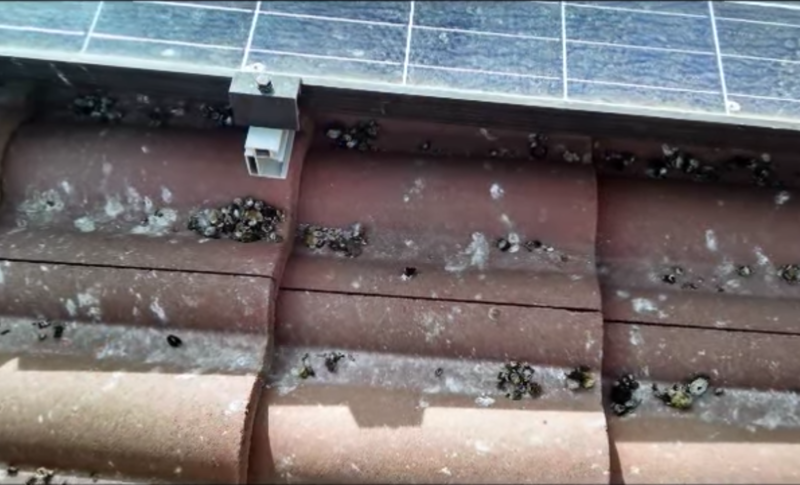 First, the bird droppings and debris can damage the solar panels and make your panels work much less efficiently. Additionally, the strategies many companies use to clean the detritus from the panels can scratch the panels, further deteriorating the effectiveness of the panels. Under the panels, the layers of waste and bird nests attract other rodents. These critters can chew through a solar panel’s electrical writing. Damage can mean electrical fires or panels that no longer function. It is also important to think about the dozens of diseases that bird droppings can harbor, making diseases such as salmonella, meningitis and West Nile virus airborne on your home. Again, working with the best pigeon control companies is imperative to protect your investment and your family. Luckily, there is a simple solution to the problem of birds and other rodents nesting under solar panels. The most humane, and effective deterrent is to install bird netting as soon as the solar panels are installed. 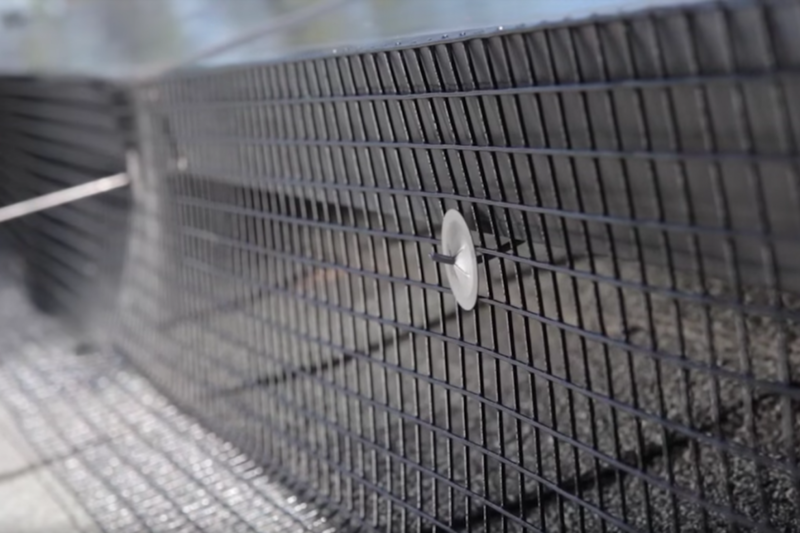 These solar panel bird deterrent tools are designed to keep birds and critters away and block them from nesting under the solar panels. 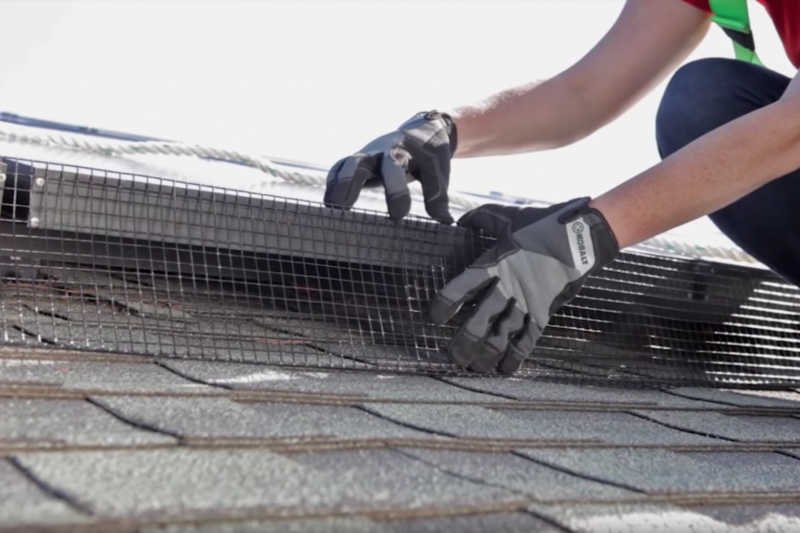 Bird netting is a weather-resistant mesh that installs without any damage to your panels or to your roof as there is no drilling anywhere. For those of you concerned about the esthetics of bird netting, you can rest assured that the mesh is nearly invisible after installation. Even better, birds and rodents will not be able to get under your panels and will simply move on to another location, leaving your solar panels and your home far forgotten. The best bird control is one that preserves the integrity of your home, your solar panels and the health of your family. At Aantex, we are highly trained and experienced working with homeowners using Bird-B-Gone tools. Our bird deterrent strategies are simple and effective. When you are installing your solar panels or are ready to protect your home and your solar system, reach out to our team at Aantex to schedule an inspection of your solar panels and your roof today.